Weighty Matters: Will carrying around a fake lump of fat help you lose weight? 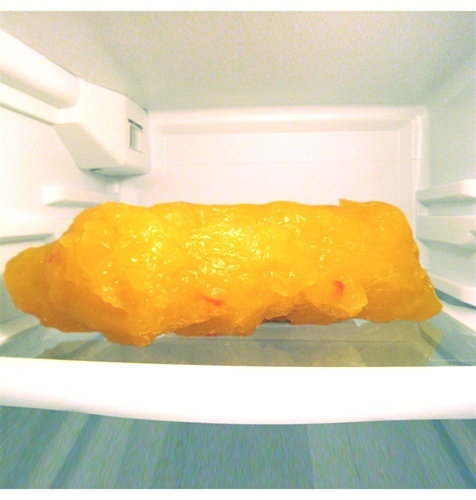 Will carrying around a fake lump of fat help you lose weight? That's certainly what the folks over at mypetfat.com want you to think. According to them, buying a "pet" 5lb, 1lb or travel size blob of fake plastic fat will help to keep you motivated. They recommend putting your 5lb pet in your fridge, by the cookie jar,on the table or by the scale. What they're not telling you? That they're selling the same anatomical fat models you'll find pretty much everywhere else but by marketing them to dieters and folks who are desperate enough to buy fat replicas to serve as table centre pieces, they feel justified in doubling the average retail price. If you want yours, head over to the Anatomical Chart Company and buy one from them, and if you'd like to see the mypetfat site yourself, you'll have to type it into your browser as I don't want to reward their clearly predatory pricing with a link.